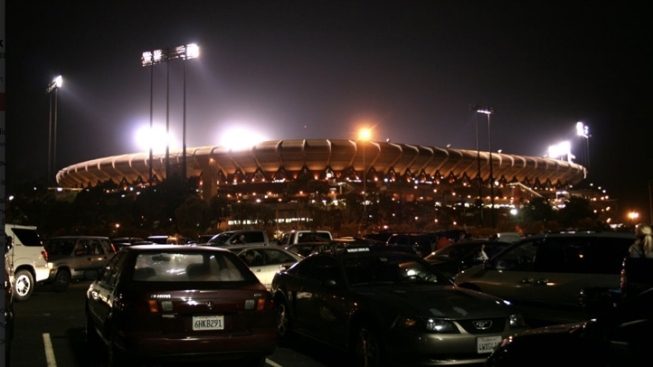 Power Outage Delays "Monday Night Football"
A transformer explosion knocked the lights out at Candlestick Park in San Francisco. As Pittsburgh Steelers quarterback Ben Roethlisberger was announced as being active against the San Francisco 49ers, the stadium had different ideas. The start of Monday Night Football at Candlestick Park in San Francisco was delayed Monday when a transformer exploded just outside the stadium. The start of the game was delayed indefinitely and ESPN showed aerial footage of fans sitting in their seats waiting for the lights to go back on. The lights went out for just under 30 minutes before turning back on at 5:44 p.m. There were no reports of an earthquake or an foul play involved. Candlestick Park is one of the oldest stadiums in the league and the outage is sure to start the debate for the dire need for the 49ers to get a new stadium. The stadium was built in 1960 and the 49ers began playing in the park in 1972.